PRICES: This retreat has been discounted by $200 due to the difficulty of travel. Please have a look at our Rates and Reservations page for our base rates that cover accommodations and meals. The price will be $200 off of that. 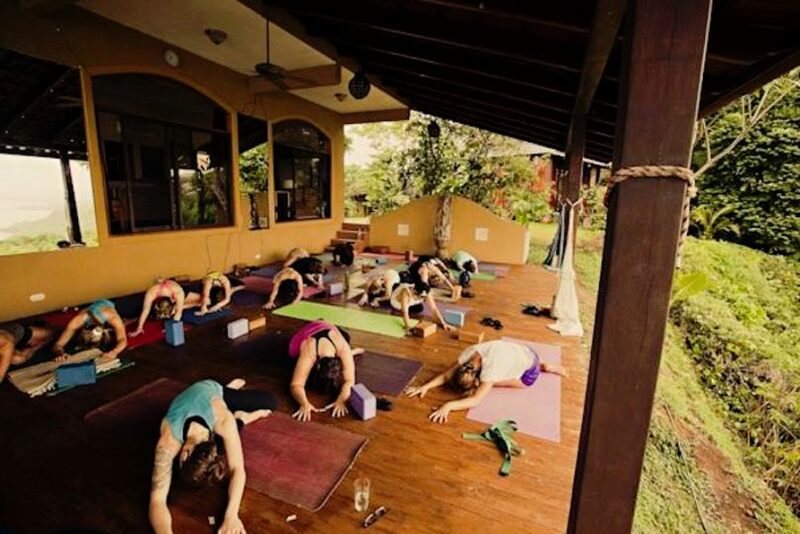 PACKAGES: We have a number of Yoga Retreats to offer our guests. Yoga & Adventure, Yoga & Rejuvenation, Yoga & Surfing, and Pure Yoga. Check out our Anamaya Retreat Packages for more details on each yoga package. Or for those who are not into yoga, there’s no need to choose a yoga package at all – you can book all your activities and excursions A La Carte. We call it the Relaxation Retreat. We are also now offering a Scuba Certification and Yoga package to our guests. WORKSHOPS: Lia will be offering 3 Yin Yoga workshops, each will be 90 minutes and cost $35 each, or $95 for all three classes. For more detailed information please see below. Lia has a gypsy soul and loves to move. She was born and raised amongst the corn stalks in Iowa until she made her escape. She learned her Spanish in Oviedo, Spain then moved to Montezuma, Costa Rica. From 2009-2013, Lia spent many happy and tropical years teaching everything from zumba to aerial acrobatics in Montezuma. However, Lia’s heart is yoga. In 2011, she started teaching at Anamaya as the in house yoga teacher until 2013. During that time, Lia taught what her certificate calls an “alignment based flow.” This is vinyasa yoga with a firm respect for alignment. Lia believes in the technique of talking over showing. This means that her cues immediately adapt to the students, their needs, and their understanding and is able to talk the students through their movements. This technique is powerful because it allows the teacher to walk amidst her students and adjust each person individually. Lia does demonstrate during her classes, as well. Lia also taught free yoga classes in the park of Montezuma on Tuesdays and Thursdays. These classes used beach towels instead of yoga mats. In 2013, Lia moved to Portland, Oregon where she taught Yin yoga at Yo Yo Yogi and began her pursuit of a degree in physical therapy. Continuing that pursuit, Lia is now in Richmond, VA where her practice has shifted from the stillness of Yin to the powerful rhythms of Ashtanga yoga. She is also currently studying to become a physical therapist at the Virginia Commonwealth University. Lia is greatly looking forward to returning to Anamaya December 17-24, 2016, and maybe even seeing some of her old students. Morning classes at Anamaya (included with all yoga packages) will be vigorous and heated but balanced with the breath, a steady rhythm, and the keen eye of your teacher assisting you find the calm wherever and however you find yourself in a pose. All levels are welcome. If you are a beginner, please consider doing a one-hour private session with Lia where you get to pick which area of the body, or which style of poses, you would like some personal assistance with (whether it be balancing poses, standing poses, twists, hips, hamstrings, lower back discomfort – you decide). Private sessions are $70. To understand Lia’s philosophy of yoga, it is important to understand her vision of simplicity. For Lia, yoga means movement that needs nothing more than one’s body and one’s breath. This simplicity is its elegance, its purity. For Lia, there is nothing more beautiful than guiding a group of individuals moving together as one. Lia has a fundamental understanding that each body is different and truly believes each body can do each pose in its own way and that doing this together is an extraordinary gift. There are so many modifications, so many adjustments, so many approaches to a pose, and Lia works hard to know as many as possible to be able to meet each person where he or she is in their practice. For Lia, yoga is a moving toward, and that’s where the healing begins. Yoga is about healing from the outside in. Yoga treats the physical body and the spiritual soul as if there truly were no barrier. 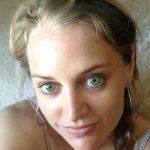 Lia believes yoga exposes connections between every way of being, from the physical to the emotional to the spiritual giving us a chance to experience the world as ourselves and as more than ourselves. Lia’s philosophy on teaching yoga is that it’s about allowing the student to discover his or her own body. It is about encouraging each student to be patient through the pressure, to be kind at any hint of pain. It is to initiate the student’s focus on the general pose and to take that focus to the exact alignment to an awareness of how that way of being is connected to the breath, the Earth, to a momentary stillness of the mind. Lia teaches that yoga is ultimately about connection and awareness. Yin is about stillness. These 3 Yin Yoga workshops will take each student as deeply as possible into his or her flexibility. Yin is not about the muscles but the fascia underneath. This is a class for anyone who wakes up with stiffness, or for anyone who is seeking to dramatically increase his or her flexibility. Yin does not look deep while in the poses because yin is not about stretching but pressure. Lia does a wonderful job making you laugh, helping you meditate, and sometimes even singing to you to help you through the postures. In each session, Lia will read to you a story or an anecdote to assist you relax and, simultaneously, find the depth of each pose. The last thirty minutes of the session will be spent in full release where the class transitions into 1-2 restorative poses that truly allow you to let go. This is the time where you can truly hear and feel the sounds of the waves, the birds in the trees, and the nature you have come to surround yourself with for this week. Each class is 90 minutes and the cost for each class is $35, or the package price is $95 for all three.